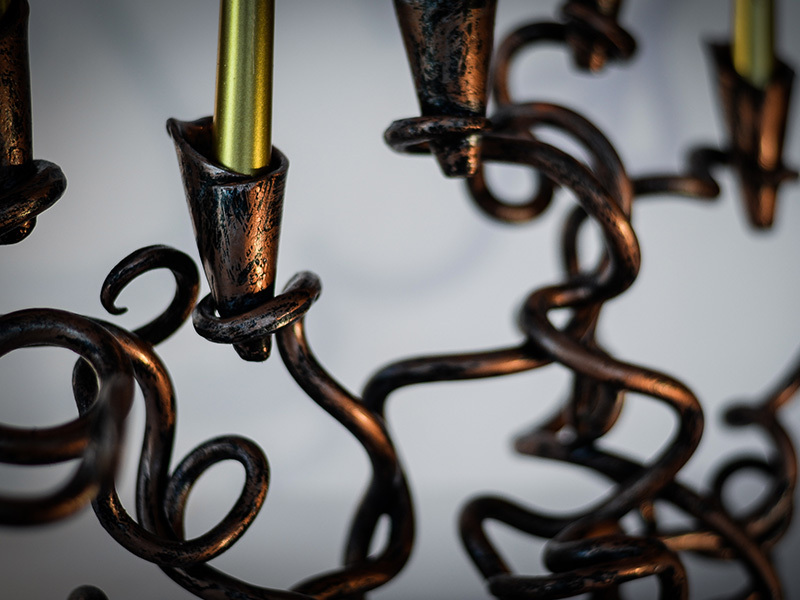 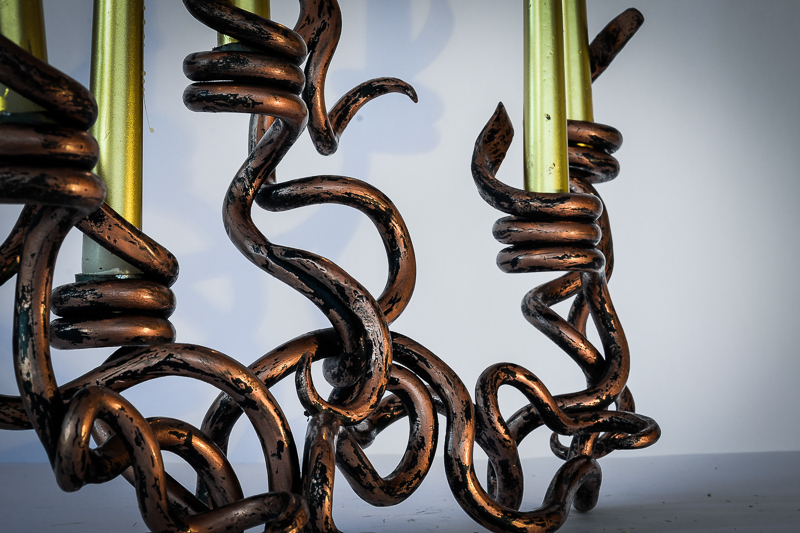 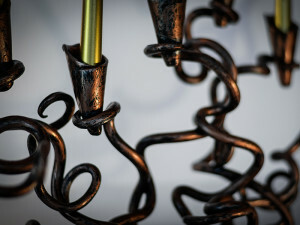 Its design reflects the idea of roots, the invisible part of nature that anchors and nourishes the rest of the plant. The element of the design is to recreate the idea of God the Creator and Sustainer of all things. 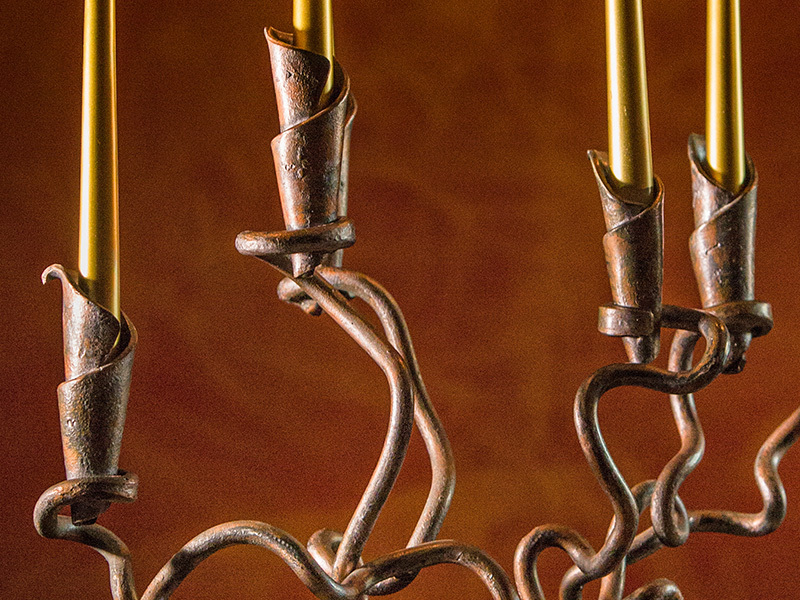 Its asymmetry reflects the movement of the Holy Spirit that moves without following schemes nor known directions. 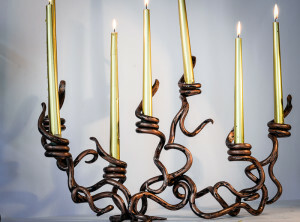 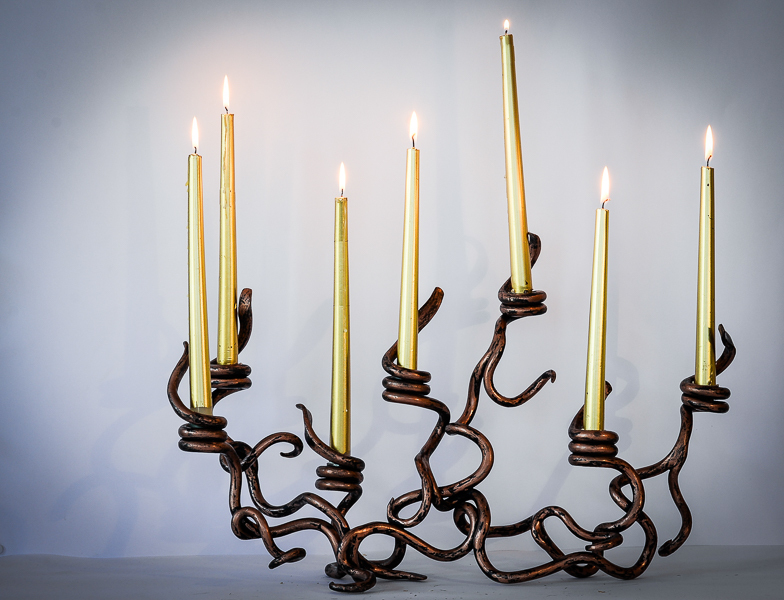 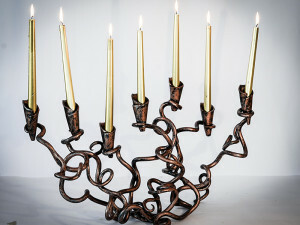 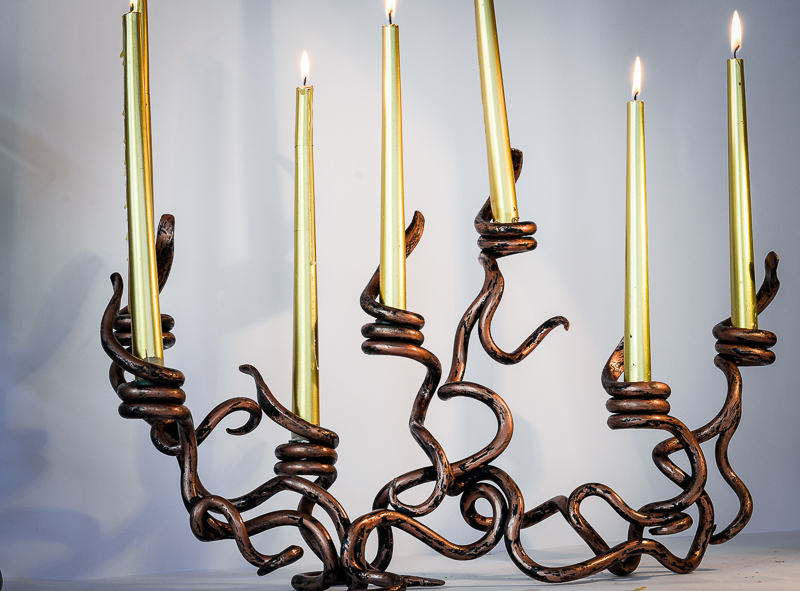 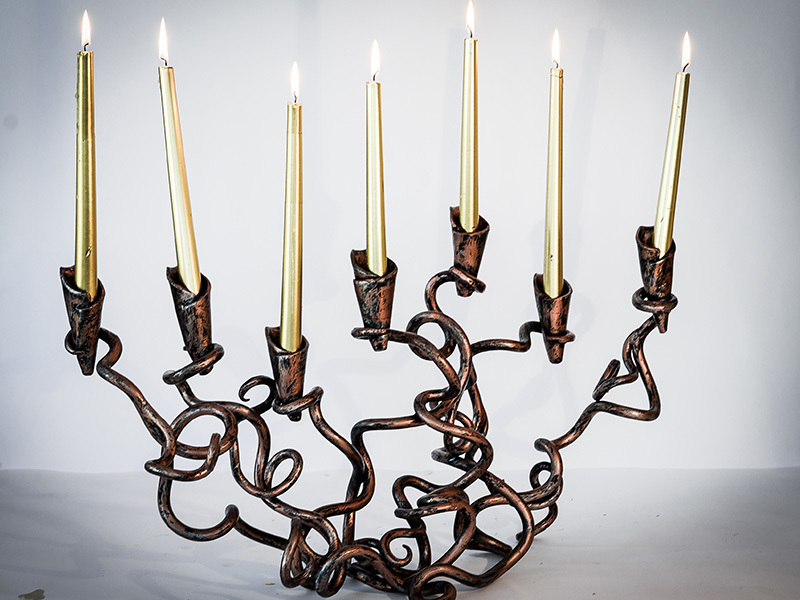 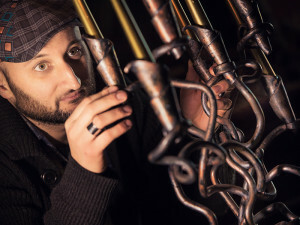 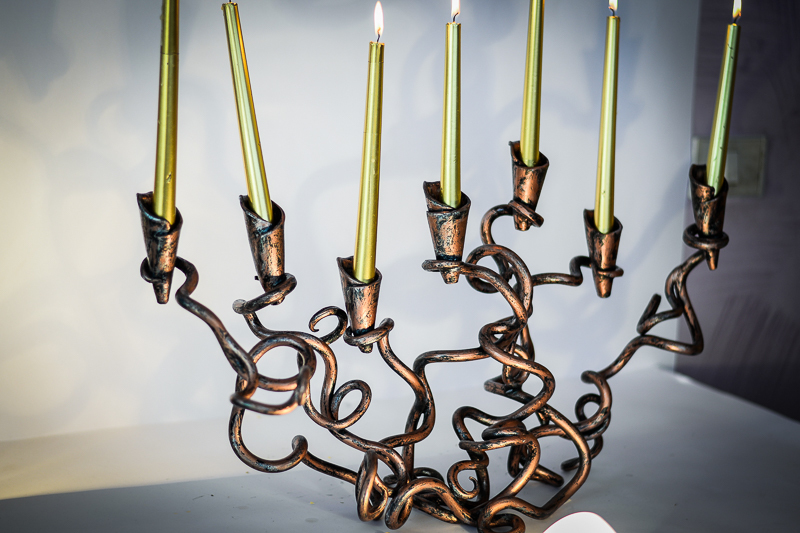 Its design includes seven branches that resemble the Menorah, the famous candelabrum of King David in the Jewish tradition. 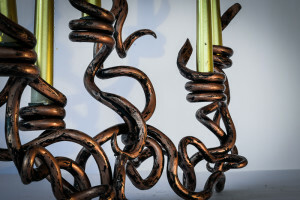 The branches are 3 round iron steel rods measuring 144 cm each in length which symbolize the 144,000 saints of the people of Israel who constantly worship in heaven. 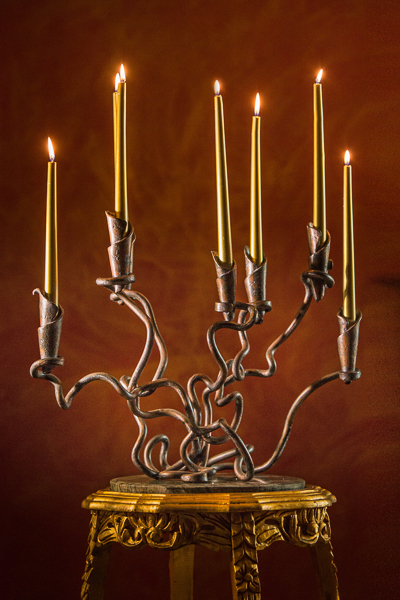 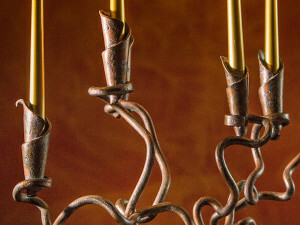 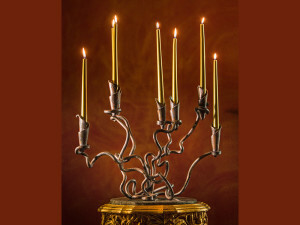 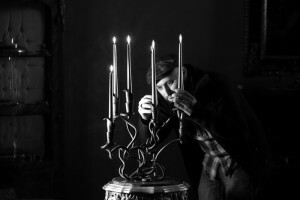 The flame of the candlestick is the symbol of worship. 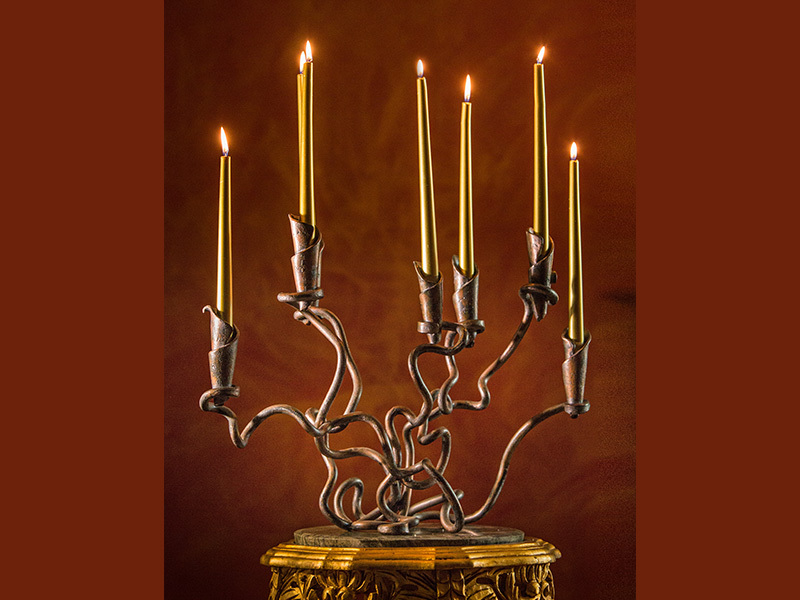 The highest point of the candelabra is a lily-shaped flower that in the Bible is described as the most beautiful creation, which in the candlestick becomes the fruit of divine expression.